Now that I have your attention let me assure you: If you stay clear of chlorine bleach, you have nothing to fear by making your own cleaning products. Why should you even consider doing that? The cost, for starters. You know that blue window cleaner sitting on your counter? You paid about 30 cents an ounce for it and it’s 95 percent water. Your own products will cost only pennies to make and will not contain toxic chemicals that could be harmful to your family and the environment. HEAVY DUTY WINDOW CLEANER: 1/2 cup household ammonia, 2 cups rubbing alcohol, 1 teaspoon liquid blue Dawn. Mix ammonia, alcohol and detergent in gallon jug. Fill with warm water. Shake before each use. This solution is great for cleaning really dirty windows and for removing soap film from shower doors. 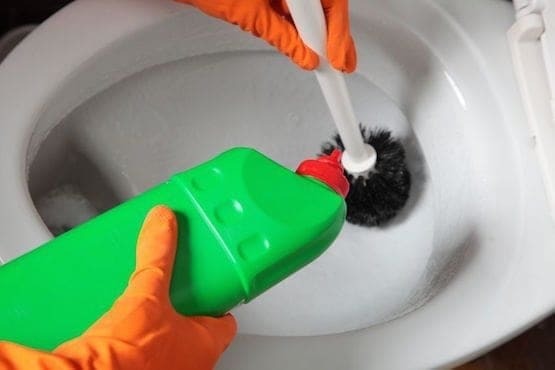 DISINFECTING CLEANER: Mix household ammonia and rubbing alcohol together in equal proportions in a spray bottle. Label and keep out of reach of children. This is a very strong cleaner so make sure you have ample ventilation when using. Wear gloves. ALL-PURPOSE CLEANER: Combine 1/2 cup ammonia, 1/2 cup white vinegar, 4 drops liquid blue Dawn soap and 1/4 cup baking soda into a gallon of warm water. Mix well and dispense with a spray bottle. 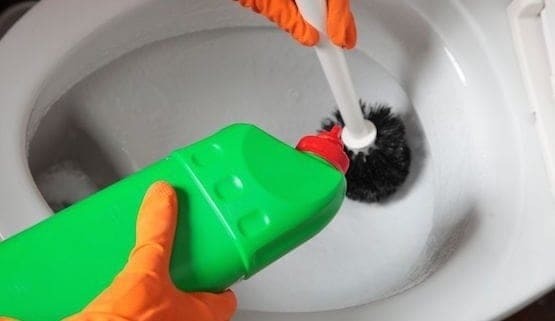 TUB AND TILE CLEANER: This is a terrific homemade version of Soft Scrub. In a small bowl mix together 1 2/3 cups baking soda with 1/2 cup of dishwashing liquid (like blue Dawn or Joy). Dilute with 1/2 cup water and add 2 tablespoons white vinegar. Stir with a fork until smooth and all the lumps are gone. Pour into a 16-ounce squeeze container with a squirt flip-top cap (like a ketchup bottle or similar). Shake well before each use. Keep tightly capped between uses. Hint: Rinse the flip-top cap after each use so that it won’t get clogged. CLEANER FOR PAINTED CABINETS: 1/4 cup baking soda, 1 cup ammonia, 1/2 cup white vinegar, 1 gallon warm water. Mix together and pour into a spray bottle. Wash cabinets with a sponge and this solution. Rinse with a clean sponge and water. Wipe cabinets completely dry. Want more recipes for household cleaners? Download my 40-page booklet, Cheapskate Solutions. It’s packed with dozens of recipes and formulas you can make on the cheap.